Silver Spring, Maryland (February 24, 2010) – Alliance Game Distributors and Evil Hat Productions are proud to announce that they will be teaming up to bring The Dresden Files Roleplaying Game to adventure-hobby retailers in June, 2010! The Dresden Files RPG is based upon the wildly popular series of books by New York Times best selling author Jim Butcher. With eleven books published in the series, and Changes, the 12th book set to release on April 6, 2010, the Evil Hat crew had a wealth of characters and plot to draw from. 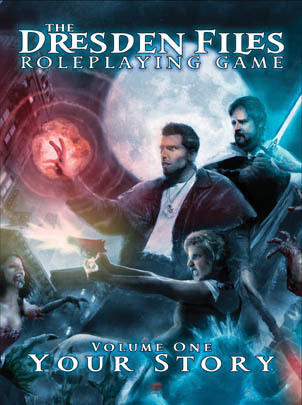 In addition to the Dresden Files RPG, Alliance will also be offering Evil Hat’s backlist of products – including the award-winning Spirit of the Century RPG, based on the Fate game system—the same engine which drives the ruleset for Dresden Files! 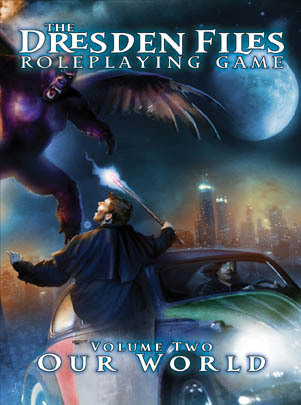 The Dresden Files RPG: Volume 1 – Your Story [EHP3001] and The Dresden Files RPG: Volume 2 – Our World [EHP3002] will make their first appearance at the Origins Game Fair in Columbus, Ohio June 23, 2010. Evil Hat Productions believes that passion makes the best games. With this passion, they create award-winning games such as Spirit of the Century and Swashbucklers of the 7 Skies, delivering the best in small-press gaming. Alliance Game Distributors is the largest hobby-game distributor in the US, with 4 warehouses and 5 sales offices servicing North America and the world. Alliance leads the industry in retail support, with a robust B2B web presence and the industry leading preorder publication, Game Trade Magazine – which has proved an invaluable tool to retailers and consumers for over 10 years.